The team who plays together stays together! We provide a wide variety of team building pursuits for conferences, motivational training within the office and away days. 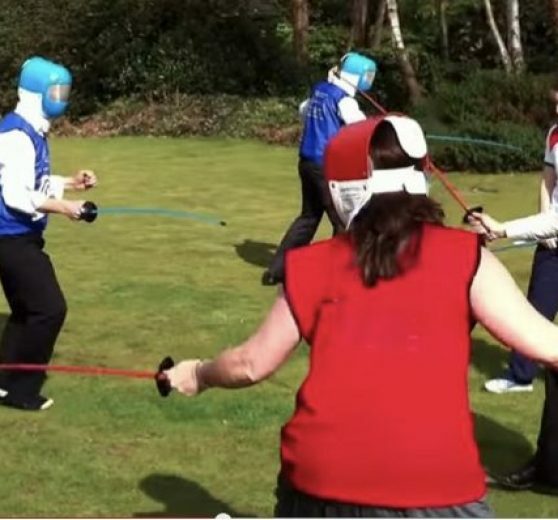 Whether one to one activities, staff teams, management training, on site or on location, we have a wealth of activities that will get your company working well within itself. That can only lead to good results in the outside world. Ask us for more details! I LOVED THEM! Mad as a box of frogs but the client and I both thought they were brilliant. Would definitely book again. I hope to be back in touch very soon. From all accounts the meeting went wonderfully, and Clatteratti were brilliant. We particularly loved the audience participation! Will definitely keep Joogleberry in mind next time.